Breaking News / Nollywood: Two Nollywood Practitioners, Ansa Bassey (a film-maker) and Kudirat Ajimat (a Yoruba actress) have passed. The two were reported dead in the space of 24 hours on November 15, 2016. May their soul rest in peace. The death of Nollywood film-maker and Director, Ansa Bassey Kpokpogri, who is from Calabar and a mother of one, reportedly passed away after complaining of pains from peptic ulcer, according to a post on NollywoodSocial. Emem Isong’s younger sister – Uduak Isong Oguamanam, who is also a film-maker, took to her Facebook to pay tribute to the late practitioner, calling her a Friend, Sister, Business partner, Supporter, and Colleague. We commit their souls into the hands of God Almighty that they may rest in perfect peace. ?? 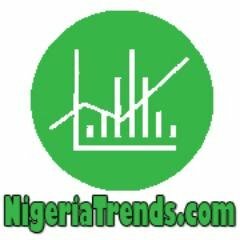 NigeriaTrends.com is a news platform curating all the latest trends in Nigeria. Including Nigerian breaking news, education, entertainment, sports, politics, technology, world news, and social media viral trends. Positions are open for Content Curators.